While we have been using digital banking for quite a while now, the insurance industry is increasingly adopting digital technology to provide better value proposition to its customers. Digital wallet MobiKwik has launched its digital insurance offerings recently. To begin with, the company has launched an accidental insurance policy, offering a range of general and life insurance products. The app will analyse data points and have an algorithm in place to suggest suitable insurance products. When it comes to paying premiums, you can now make insurance premium payments of over 30 insurers from your Paytm app. Last month, India’s largest insurer LIC came on board as well. “Insurers today are providing ‘on the go’ services to the customers starting from policy purchase to self-inspecting their claims on the company’s mobile applications. Such initiatives have contributed in enhancing the customer experience as they simplify the processes and do not require the customer to visit the branch or call on the customer care number,” said KV Dipu, President and Head, Operations and Customer Service, Bajaj Allianz General Insurance. According to report titled Digital Transformation in Insurance published by EY in 2017, the process of going digital comes with several benefits, which include cost reduction, customer enhancement experience, speed to market, underwriting efficiency and claims efficiency. The report goes on to elaborate on a few areas where digital transformation can benefit the insurance industry. Today’s customers are omnichannel, they research products online, recommend and talk about products on social media channels and then buy it either online or offline. 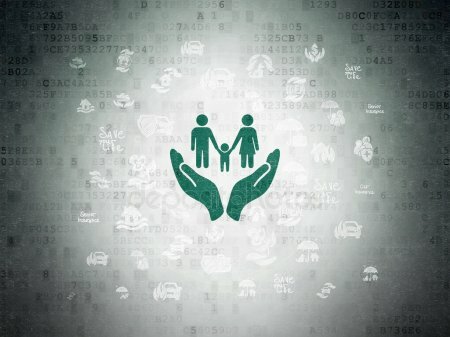 Insurance companies thus need to have an omnichannel presence to reach out to customers. Next is the area of big data analytics where insurance companies can analyse large data sets and identify suitable products for a given customer based on his profile, thus creating personalised user experiences. Going ahead this can expand into the area of Internet of Things which can give the insurer advanced risk mitigation techniques such as chances of fire or flood and of break-ins at private and commercial properties. When it comes to claim settlement, Dipu explains how digital technology has eliminated customer effort by deploying a blockchain-based claim settlement solution wherein a customer who faces an international flight delay doesn’t have to submit any paperwork, and is delighted to see the claim amount in his bank account! Digital technology powered by Artificial Intelligence (AI) also helps in quick resolution of customer queries. “In order to cater to various customer queries, we deployed an AI-driven chatbot christened BOING. We have also empowered customers who file motor claims (up to IRDA mandated limits) through submission of self-clicked photographs, wherein we deploy technology to quickly check the veracity of the claim, and then transfer funds to the customer within 30 minutes,” added Dipu. Adopting digital technologies in a smart manner will help insurance companies stay ahead of the curve.